Since we are a non-profit, we run on your generosity. If you feel like this is a cause you're passionate about, please donate us. Your credit card information is secure and you pay by secure Paypal. ExtraCake P.R.A is a leading full service boutique agency located in Dubai using cut-through creativity and unique communication strategy with a limited and carefully selected client portfolio. The are organizers of Middle East Film & Comic Con and have provided Suraya Foundation with an exhibition space to enable spreading education via comics. Listened to "Are You Reckless?" ad? Let us know what you think of the ad. Jijie Zablan would help Suraya Foundation in PR and networking with Influencers and Thought leaders in UAE thus helping to spread its word. Jijie Zablan is a pubic speaker, social worker and an entrepreneur. She helped create Filipino Computer Club where since 1996, the club had provided free computer education to more than 18,000 Filipinos. She is also an avid public speaker and mentor helping create Toastmaster clubs like Desert Voices, FCC Toastmasters club and Scientechnic. She is also the founder of Great Minds Network, which is Dubai based knowledge management company. At the moment we are non-funded org & would need money to print the banners and provide to schools, community centers and in malls. We would need approximately Dhs 10,000 . As of September 1,2010 we have Dhs 300. We are planning to incorporate the above six elements for planned road safety campaigns. Below is the campaign chart showing how Suraya Foundation would organize the campaign. After campaign if the results have been very positive, it can serve as a case study for government, NGOs and other safety awareness organizations who can learn the methodology involved in the campaign and use it to spread their own cause. Any positive result will be a positive step in checking this epidemic and we hope to help the government of Dubai in achieving it's goal of having zero deaths in Road Traffic accidents by 2020.
i, Did target people remember the message? ii, What or which elements of the ad did they remember?/recall most vividly? iii, Did the ad help them in adopting safer driving habits? iv, Did the ad make them aware of dangers of reckless driving? Background - Many of the accidents occur due to over speeding, not keeping safe distance and road rage. Here is an Arab guy speeding and heading home on weekend. Mother: Hello Ahmed. Aren't you coming home today? Man (speaking to himself): Get the hell out! Why do these guys drive slowly? Male Voice: Are you reckless? Male Voice: A message from Suraya Foundation. (i) would be available in three languages-we want to spread the message as much as possible. (ii) a large majority of the masses listen to the radio (at least when they are stuck in traffic jams). Through radio ads we want to target three demographic groups - i, South Asians who make the largest expatriate group in UAE ii, Arabs who form second largest demographic group iii, other English speaking members (Western & non- western). For South Asian advertisement of the language would be preferably be Hindi, Arabic for Arabs and English for other expatriates. There would be three different scripts for each group, this is done so target listeners can relate to the message which will make them more likely to act and stop reckless driving habits. Here are some possible scripts which we want to air on radio. Husband: Hello! how are you doing, dear? Wife: I am fine. It's been long time since you called. Husband: Yeah I have been busy with work, driving work. Am running late. Have to be there in an hour. (sound: accelerating) How are my kids? "Statistics have shown that improper driving habits cause 90 per cent of traffic accidents in Dubai, while faulty road engineering contributes to another three per cent", said Tamim. Raising public awareness is fourth on the list and is given less importance than monitoring on the road. Penalizing may act as a deterrent but is not the long term solution. Most of the road safety awareness programs are small scale and provides random statistics which surprises people but not strong enough to convince them to take up safety measures. What measures can one take so people can remember the road safety message? How can we make sure the appalling statistics of road deaths can make people remember about the seriousness of the problem? How can we spread road safety messages to mass population of UAE or Gulf? How can we make messages catering to different nationalities of UAE? How do we know the road safety campaign has been successful? By successful we mean is there any positive statistical significant result due to listening to road safety message as opposed to not listening? According to United States Department of the Interior, statistics state that if one million homes each have five leaky faucets, with 120 water drips per minute per faucet, 57 million gallons of water will be wasted per day. That is huge amount of water wasted but how much is so much? If you had never visualized kilogram, litre or pounds it will be hard to assess how much is 1 kilogram of potatoes. Same thing goes with 57 million gallons of water which will be hard to visualize until somebody says 57 million gallons of water is wasted everyday i.e enough water for a family of three to use the water for 10 years! Now people could visualize and quantify "57 million gallons of water"
Same thing goes with many road safety campaigns which throw mere statistics like 10 people in 100,000 die of accidents every month. It is shocking but it is number catering to logical side of the mind i.e not shocking enough for most of them to remember this stats. What if we are to say "for every 10 people you know 2 had lost their loved ones in an accident" or just take profile of one person whose life has been damaged due to accident. These measures would make them think and consider the damage road accidents have done. Many contemporary road safety programs advertise statistics to which people in general do not relate easily. They have to do more so people can feel how accidents can damage the life of a person. 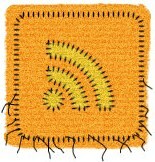 Present road safety awareness programs in U.A.E are run for limited period of time and use mediums to spread awareness which have multiple constraints, for example one of the programs raising safety awareness had done only internet PR and limited magazine PR when many people (at least reckless drivers, the main target for the adverts) do not use social media or read magazines. Many of the accidents are done by taxi and bus drivers who have less chance of getting exposed to the road safety message. If a road safety campaign has to make some effect it has to be spread virally through media through newspaper, television, radio etc so at least a sizable portion of the targeted audience could receive the message. U.A.E and most of Gulf is a mosaic of many cultures which each race having their own idiosyncrasies. If a message has to be effective it has to be such that people of certain demographic group could understand in their language and secondly that people could relate to the message. For example, one of the anti littering campaigns in Texas, USA showed many ads like a local Indian tribal chief crying over garbage on the land, the target litterers were the type of people to whom "please" did not mean much. They could not relate to the ads and therefore the ad did not work on these macho people. Texas authorities hired an advertiser Dan Syrek who figured out the best way to convince these macho-people was to use people they look up to or people like them. Based on the research the department of Texas approved a campaign built around the slogan "Don't mess with Texas" (See Case Studies) which reduced literring by 70% in 3 years and was the most successful anti littering campaign in the history. The campaign is still alive after more than 20 years (see www.dontmesswithtexas.org). This goes to show the power of advertising and targeting right group in changing people's perception. "What gets measured gets done" said by Peter Drucker, one of of the top gurus of business management. Contemporary road safety awareness programs do not follow up on whether their campaign worked or not through surveys, polls etc. Since human psychology relies on law of averages to measure a desired effect, the plan of this foundation is to quantify the effect by taking surveys from minimum 5000 people of different demographic groups to have statistical significant result from which we can assess our campaign is working or not. Does proper education really prevent reckless driving? Why do companies interview candidates even though they have amazing academic records or come form very prestigious universities? They could just hire the candidate just because he/she has great educational background. The answer is one of the most important factor they check to assess the success and fit of potential employee is attitude. If the person has great education but has an attitude like "I am better than my colleagues" and treats co-workers condescendingly, what are the chances that highly educated employee would be successful in the company? As David Schwatz stated in his famous book Magic of Thinking Big, "The thinking that guides your intelligence (attitude) is much more important than how much intelligence you have. Attitudes are more important than intelligence." This positive attitude have been observed in most of accomplished people in the world who have average IQ and excelled due to self-discipline , the attitude of "I will learn from my failures and try till I achieve my goals". This realization is one of the basic principles for Suraya Foundation. The point here, is that education does play a role in making the drivers understand the rules and regulations, yet mere education does not ensure that drivers will drive safely, unless the element of right attitude has been adopted. 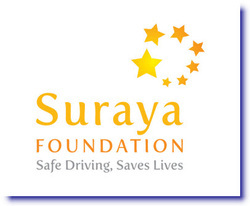 Suraya Foundation aims to spread emotionally compelling messages that would help change attitudes of reckless drivers. "Suraya" is a Persian and Urdu word, in Arabic it's known as "Thuraya" and in English "Pleiades" meaning "cluster of seven stars" . We have adopted seven principles for our campaign and meet our objectives. Expressions like "Inshallah, nothing will happen" or "It is the will of God" are said usually by Muslims, sometimes it suits the occasion, like saying "Best of Luck''; at other times when someone departs, everything is wrongly blamed onto Providence, for instance when driving recklessly and thinking "if it is in my fate I will die when my time comes" (taken from real life quote from many reckless drivers). Majority of people in Gulf are Muslims and religion plays an important role in the day to day life of masses. Islam and other monotheist religions teaches that the day of birth and death is preordained by God. There is a confusion between natural death (God's Will) and unnatural death (suicide, murder and accidents) in Muslim world. Similarly in the West there is confusion by the meaning deterministic principle which was debated by "God does not play dice" phrase of Einstein. The foundation is prepared to tackle this logic using scientific and religious reasoning. If all deaths have been preordained by God then why are suicides, murders or euthanasia considered a sin in Monotheist religions? The reason is because they have been unnatural deaths, not ordered by God. On Feb 2010, three Emirati children - Shaikha Salem al Mansouri, four, and her sisters Damayer, six, and Mariam, seven, died in an accident by a reckless driver leaving their nanny paralyzed for life. Would the mother of the three Emirati children find consolation by stating "It was the will of God" that the reckless driver killed the children? The point here is deaths due to reckless driving are equivalent to murder. Driving carelessly without any concern to other lives or property is a crime. Prophet Muhammed (PBUH) said "Believers should observe their deeds in terms of not take away people’s life and property recklessly." There is fate and there are facts and the fact is that according to WHO which compared the accidents in UK and UAE, it has been found UAE resident is 7 times more likely to die in car accident compared to those in UK. If all the deaths due to accidents have been preordained by God then does that mean God favors UAE residents less than UK thus resulting in 7 times more deaths in UAE? Suraya Foundation tackles this religious fallacy which is root cause for reckless driving in certain demographic group. Tackling at the root level is very important to obtain long term positive results.